By carefully trimming every last gram of excess weight, we’ve created the lightest Flip ever. At a feather-light 1.2kg, TP200 is the perfect take-anywhere device that’s ready to go wherever your day takes you. It’s always to hand for work, for sharing or for simply relaxing. Flip TP200’s gorgeous metal finish makes it lovely to touch, and its stylish looks make it stand out from the crowd. But Flip TP200 doesn’t just look and feel good: the scratch-resistant texture is amazingly tough and durable too, helping to keep its elegant beauty unblemished. Flip TP200’s robust and remarkable 360-degree, multi-gear metal hinge gives you the freedom to organize your life the way you want. Do serious work in laptop mode. Flip into tent mode to share or discuss stuff with your colleagues. Create your own personal movie theater in an instant with stand mode. And wherever you are, Flip’s handy tablet mode is enhanced by the lightweight design and superb battery life. The new, reversible USB Type-C port makes connecting devices so much easier, and its compact design allows Flip TP200 to be thinner than ever. Fast USB 3.1 Gen 1 (up to 5Gbit/s) lets you transfer a 2GB movie to a USB drive in under 2 seconds! For maximum convenience and compatibility, TP200 also has standard USB 3.0 and USB 2.0 ports, plus a micro HDMI port for connecting an external display. Flip TP200 is designed to respond instantly to your every touch. We’ve doubled the touch sensitivity, so even the slightest movement of your fingertips is detected, and it only needs the lightest of touches to work perfectly. In fact, it’s so good that it reacts accurately even to a child’s small fingertips! 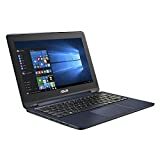 This entry was posted in Laptops And Tablets and tagged 11.6Inch, ASUS, Celeron, Degree, EMMC, Graphics, Integrated, Intel, N3050, Notebook, Processor, rotatable, screen, Touch, TP200SA, Windows by Computer Education World. Bookmark the permalink.